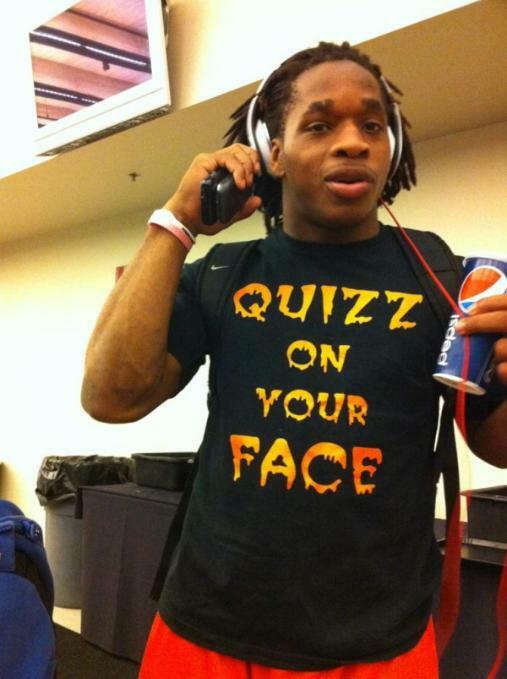 That’s some t-shirt, Jacquizz Rodgers. What’s it mean? Would love to know. This entry was posted in Fashion, Football and tagged Jacquizz Rodgers, QUIZZ ON YOUR FACE, QUIZZ ON YOUR FACE SHIRT. Bookmark the permalink.